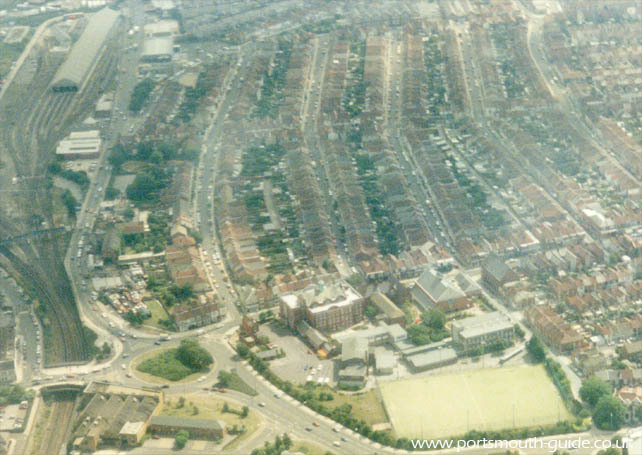 The above picture shows the area of Fratton from the air. Priory School is located near the bottom of the picture. The picture below shows Priory's new tennis centre. The School buildings were built on what is now the Priory School site in 1890 for a boys school. The building cost £3,000 and the site £9,704. The main building of what is now Priory School was officially opened on 4th November 1907 by the Lord Mayor it had cost £25,000, this was built as a girls school that had moved from Francis Avenue. While the boys school was being built St Andrew's House was also being constructed, the chapel was consecrated on 8 July 1890. St Andrews House was used to house fifty ladies (sisters, probationers and church workers). The students spent some time learning how to nurse the poor and received training for teaching and school management. During the Great War, 1914 - 1918, the boys and girls schools were used as headquarters for the Fifth Southern General Hospital. In 1918 the school-leaving age was raised to 14 and so the school become overcrowded. The girls school was evacuated on 1 September 1939 and moved to Salisbury. The school was then used for Citizens' advise Bureau, a WVS depot for furniture, bedding and clothing and a Red Cross distribution centre for POW parcels. On 10th January an air raid largely destroyed the boy's school and caused substantial damage to St Andrew's House as well as destroying the 1934 annex to the girl's school. The girls returned to Fawcett Road in January 1945 but the boys were unable to return and went to St Ronan's Road School. The shell of the boys school was left standing for nearly 20 years except for a classroom on each floor which was used by the girls' school. 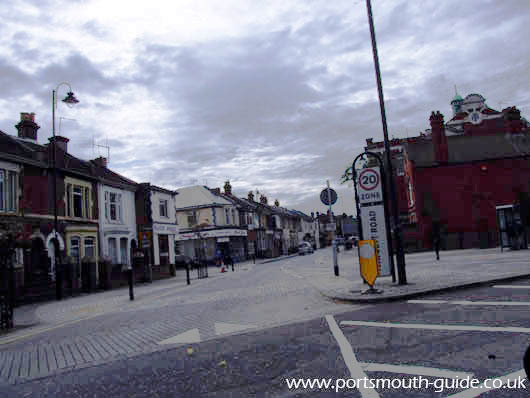 In 1946 the girls school became the Portsmouth Southern Grammar School for Girls, the Southern Grammar School for Boys was located on the Eastern Road now Portsmouth College. In 1947 a HORSA hut block of concrete sections was built in the north playground which consisted of 4 class rooms and was demolished in 1992. The remains of the boys school was demolished in the late 1950s and a two story gym block was built and was available for use in 1963. In 1951 St Andrew's House was purchased by the education committee and the bombed-out section demolished with a laboratory block being built on it and this was open for use in 1955. In the 1960s there was a lecture theatre built later to become the Information Resource Centre in 1994, a sixth form building on the other side of the quadrangle approximately on the bombed annex site. In 1963 a kitchen building was added and was removed in 1992. In the 1970s a all-weather hard-playing area was built later to become the sports hall. The school became comprehensive in 1974. In 1993 the Sports hall was built which contained sports facilities and a music suite. There has been a booklet written by Brian Davis a head teacher at Priory until 1997 called "A Short History of Priory School". 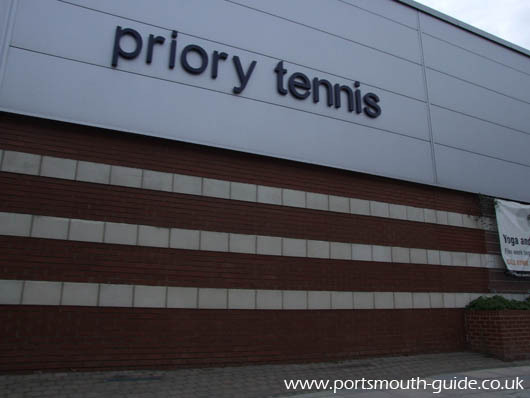 Priory School has got their own web site which will give more information about the school which can be found at www.priory.portsmouth.sch.uk. The picture below is looking down Fawcett Road and shows Priory School on the right side of the photograph.